More than half of my clients are suffering from some form of Autoimmune issue. I personally began Reiki Healing Treatments for symptoms presenting as Lyme, Lupus, MS, Fibromyalgia! With a steady diet of Reiki, Yoga and multiple supplements along with clean eating, these symptoms went into remission. These Alternative Treatments saved my life when Western Medicine failed to give relief*. If I go off my regimen for too long AI symptoms reappear so I know this combination of Healing works for my Autoimmune problems. 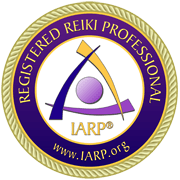 Reiki will help you with your Autoimmune Diseases but you may need to change other things about your lifestyle, add other alternative healing and certainly, most certainly, you’ll need to have consistent Reiki Healing to put your body back in balance. One session will not do the trick for any chronic issue. Sorry! Just the hard, cold truth according to my experiences as a person who has suffered with chronic illness and also as a Healer treating clients suffering the same. Stress – Recognize precursors to stress and before you get into full blown panic mode or flight/fight mode remove yourself from the stressor(s) (a particular person that never fails to push your buttons perhaps?!) and/or use some calming techniques so that you can deal more reasonably with the situations. Some calming techniques that work for a majority of people: meditation, yoga, grounding crystals, Reiki Healing, Massage Session, Weighted Blankets, Walk in Nature, Listen to Music. Allergens – Learn what these are for you and stay away! Common food allergens are: nuts, corn, gluten, dairy. Gut health is essential in manning inflammation and warding off AI flair ups. Adding Probiotics and a dietary cleanse to your regimen may help. Pesticides – Avoid Round Up, any non-organic fertilizers, insecticides, etc. Metal Poisoning – Avoid mercury from certain fish sources, and amalgam dental fillings, arsenic and others from contaminated water, cigarettes and beauty products. You can have a metal detection test done but it can’t hurt to start an over the counter metal detox program. Hormone Imbalance – Have your hormones tested. It requires a simple blood draw. Consider seeing a bio-identical hormone specialist. Depression – Causes of depression are varied. If you suffer with this for too long with out relief your immune system will certainly be effected. So many people deal with depression as a chronic illness and are reluctant to medicate but sometimes that is what’s needed. Certainly see a therapist to discuss options. Reiki, yoga and Crystal Healing can elevate your mood. Trauma – Most trauma we do not have control over. What we can control though is how we deal with trauma. Make sure you get all the support possible in whatever form helps you. Physical pain of some sort is prevalent in most autoimmune diseases. Most patients who have undergone Reiki treatments report feeling less pain as a result. Reiki balances and aligns your energy making you feel more whole. The Reiki Energy will also ground you so that you can think clearly and act steadily. This sense of balance and steadiness makes it easier for people to deal with their illness, and allows a more improved outlook on their lives. Anxiety and depression are common problems among people with autoimmune diseases and only serve to worsen the patient’s symptoms. Research studies have shown that regular Reiki sessions reduce feelings of anxiety and depression. Reiki Healing stimulates the Parasympathetic Nervous System (PNS). The priority for PNS is to rest, restore, recover and heal. Innately we know how to heal but the busy modern world keeps us from this knowledge while it keeps us in the flight or fight mode which wears down our immune system. Reiki reminds the body how to heal itself! So if you’re suffering with any Autoimmune Disorder and/or are having a flair up that is not responding to regular treatments you might consider giving Reiki Healing a try. Schedule your Volume Discount (3 Sessions) here (9th option down). Hope to see you soon! *Disclaimer: Reiki is intended to be used as a complement to traditional medical care or as a personal relaxation and stress-reducing tool. It is not a substitute for medical/psychological diagnoses or treatment. Always check with your physician before using any alternative healing. To Receive My Blog Posts: Click the ‘Follow’ Button in the Side Bar.